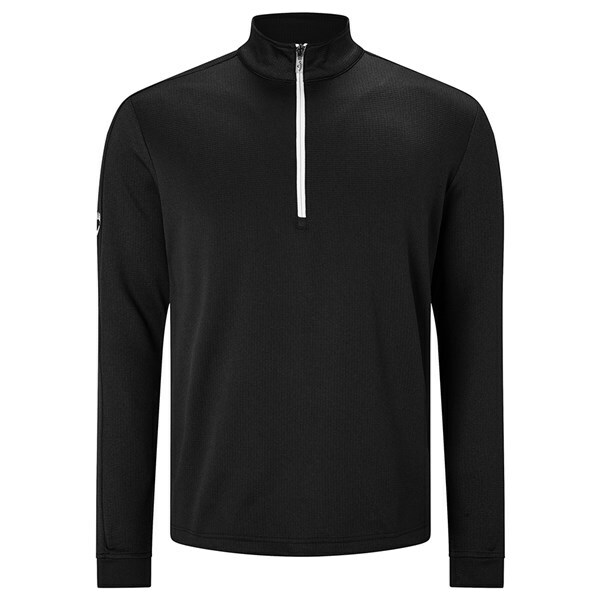 The Callaway Stretch Waffle Quarter Zip Thermal Mock Pullover is a modern take on the traditional golf sweater. 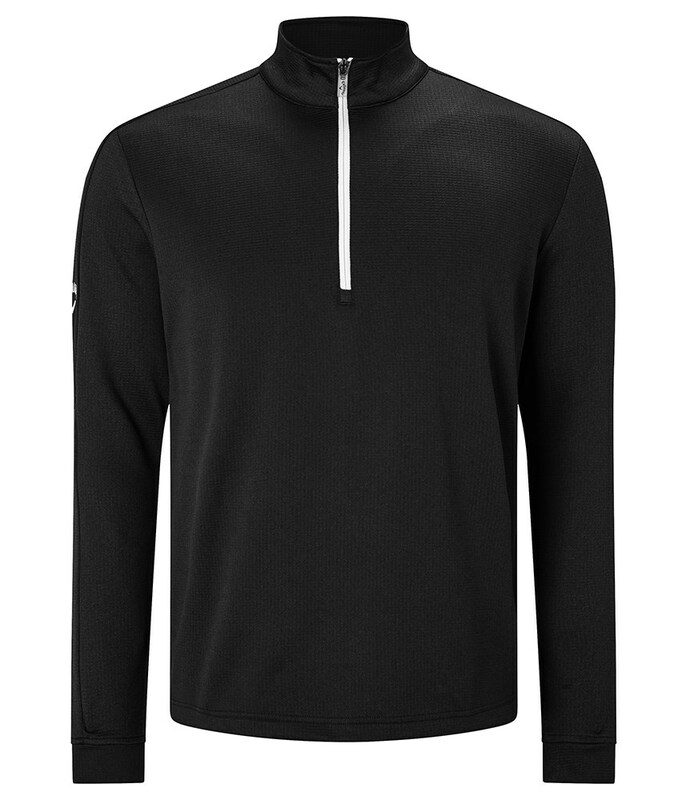 Callaway have used an innovative stretch fabric to ensure you are able to swing freely whilst wearing extra layers to keep warm and comfortable while on the course. The waffle effect on the fabric will help generate, retain and circulate that all important body heat whilst allowing excess moisture to escape. The zippered mock neck design provides excellent protection as well as helping provide ventilation when you start to feel hot under the collar.